There are plenty of MCQ books around but most combine mainstream subjects such as gastroenterology and renal medicine, which most Senior House Officers find relatively straightforward. 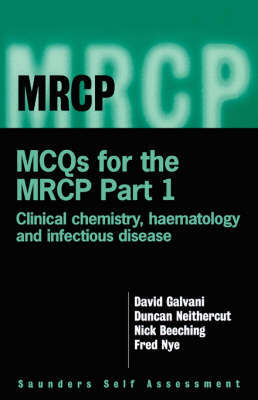 Few MCQ books, however, focus on the subjects that many candidates find difficult those in which they are least likely to have had good clinical experience. Infectious disease, haematology and clinical chemistry are three such subjects. Candidates feel uneasy about tackling MCQs in these areas, and these questions often become the deciders leading to success or failure. This new book from Galvani et al contains 150 five-part MCQs with full answers and explanations, for these three difficult areas.